Today's New York Times has an article about that perennial topic, artists being priced out of their own success--where arts and culture is used to seed revitalization, and as revitalization occurs, the escalation in rents and/or property taxes prices out artists. Today's article, "Artists Feel the Squeeze in a Midwest SoHo," is about Kansas City. Similarly, last week, the Post had an article by Eric Weiss, "NW Businesses Fear Skyrocketing Taxes Will Push Them Out," about how rising property taxes are pricing out local businesses. What I said then is no less relevant. The property tax assessment model is disconnected from revenue generation models based on what retail businesses can sell in buildings of sizes typical of historic buildings in our city's commercial districts. A theoretical "highest and best use" model will always price out anything other than commercial office, because such high revenue producing, low service requirement properties are the absolute best financial deal for any city. Photo by Maxwell MacKenzie. 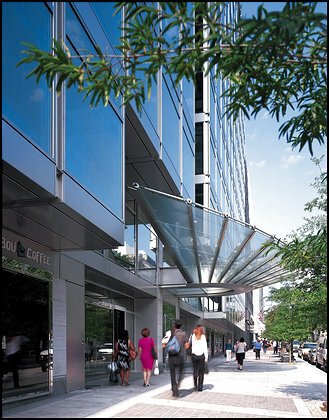 Retail front, 1700 K Street NW. From a developer's perspective, "the highest and best use" for every piece of property in Washington, DC is a 10-15 story office building. 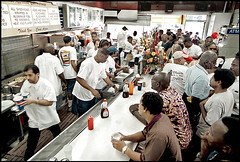 While I think this is a high estimate, it's likely that Ben's Chili Bowl grosses no more than $3 million/year. Granted the business has been more successful as of late, adding more seating capacity in the rear a few years ago, but there's no way that over the course of the improvement in the U Street area, that Ben's business increased by much more than 25%. Even a 50% business increase (very doubtful) how is a 150% increase in property taxes justifiable? 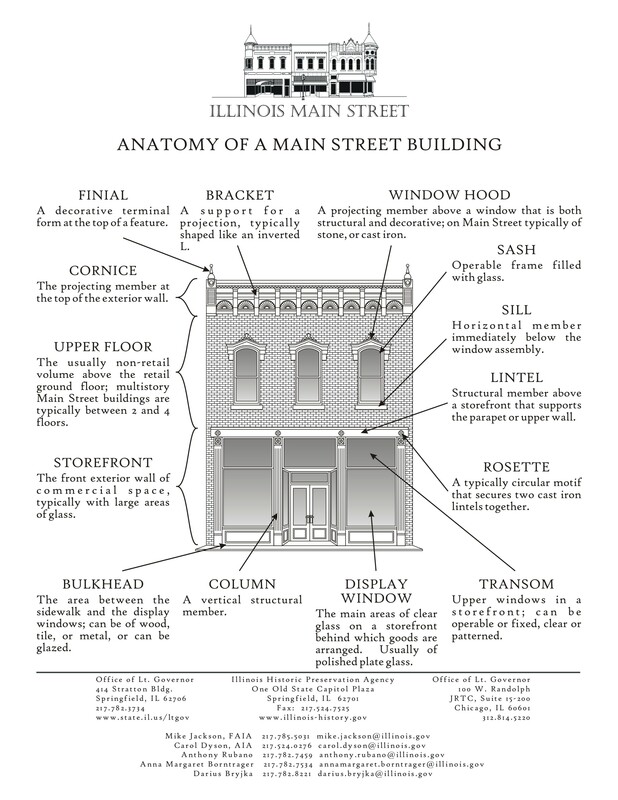 The Theater example you recount is another example of the property tax assessment model being disconnected from the underlying business that operates within the building. 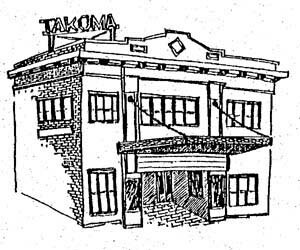 WRT Takoma Theater, the building form is intimately tied to a particular type of business. Over the last year, the Crossroads Community Association has been working with the office of Mayor Kay Barnes to draw up a plan that would enable property owners using buildings for creative purposes like studios, fine arts schools or art dealerships to get a tax break. If the plan is passed by the City Council, building owners would pay property taxes based on the original value of their property for 10 years and then 50 percent of the tax value based on the most recent assessment of the property for the next 15. That is the kind of thing that needs to be done--ensuring, somehow that city tax policies are linked with other city economic development policies. The State of Maryland does some of this with their Arts District enabling legislation, which also provides a variety of tax benefits both to artists as well as to owners of properties with arts and culture uses. See for example this write-up related to the Highlandtown Arts District in Baltimore.